The T H R A S H E R Two Hand fly rod group is straight to the point. That point being Skagit, Tungsten Heads & Short Head Spey. This style of rod is the one I get the most use from here in New England and the Atlantic Providences. 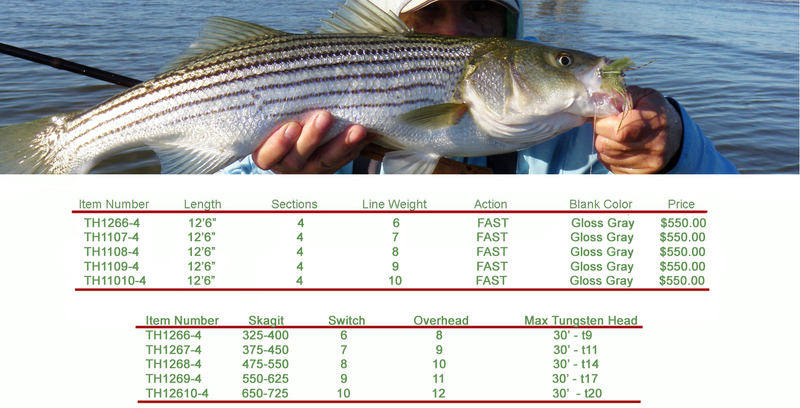 From Striped Bass, Great Lakes Steelhead & mid to late season Atlantic Salmon T H R A S H E R covers the requirement.